Summer is coming! Check out these new Great Reads titles for your leisure reading! 雪花飄落之前 : 我生命中最後的一課 / 瓊瑤. 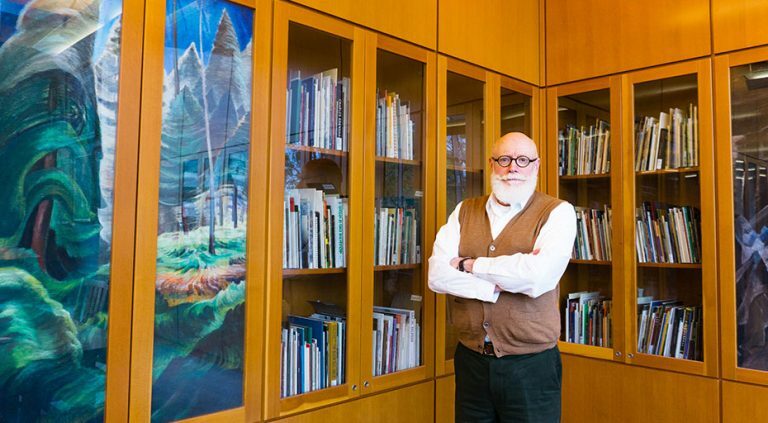 UBC Library’s Canadian Art Exhibition Catalogue collection has a new home in the Ridington Room. The Music, Art and Architecture Library in the Irving K. Barber Learning Centre (IKBLC) has moved its exhibition catalogues out of storage into a new, visually impressive display on the third floor. “The goal with this exhibit is to bring this collection, that has been scattered while in storage, together in a coherent way,” says Kevin Madill, Acting Head Librarian at the Music, Art and Architecture Library. Although the collection covers exhibitions taking place throughout Canada, it is particularly strong in featuring local exhibitions, including those taking place at UBC. The collection helps preserve historically important Canadian materials and is the most in-depth collection on the west coast. 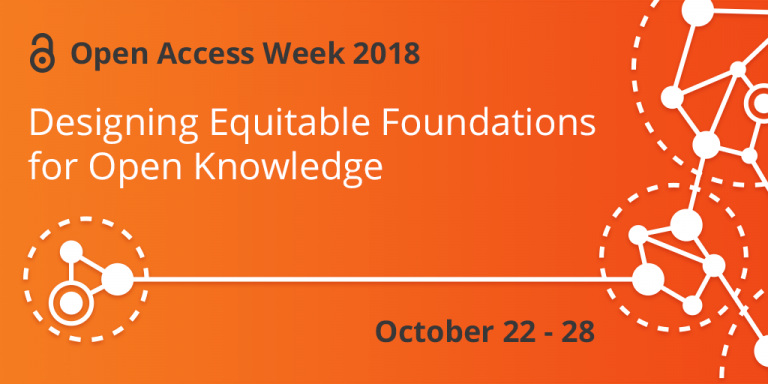 More than 60,000 exhibition catalogues were filed in cabinets, vertical files and the Automated Storage and Retrieval System (ASRS) in the IKBLC. This project moved many of them into visible storage on the third floor, where they can be accessed during reference hours. To complement the collection, Kevin Madill liaised with the Vancouver Art Gallery to have facsimile reproductions of Emily Carr paintings put on display next to the catalogues. The reproductions were printed locally at Fidelis Art Printers and were mounted in the glass bookcases by library staff. Carr’s paintings highlight the focus of the collection on local artists, specifically women artists. The project is dedicated to the memory of Diana Cooper, a UBC Fine Arts Librarian who devoted her professional career to the visual arts in Canada. She initiated the Canadian Art Exhibition Catalogue Collection and her work laid the groundwork for the collection. Stop by the Music, Art and Architecture Library to view the Emily Carr display and exhibition of unique materials from the collection. Lately, we’ve been highlighting some important lessons that can be learned in our collections, including the history of typography, how surgery was performed in the 16th century, and which artists are responsible for the art in the Chung Collection. But did you know that our collections also contain important business lessons? 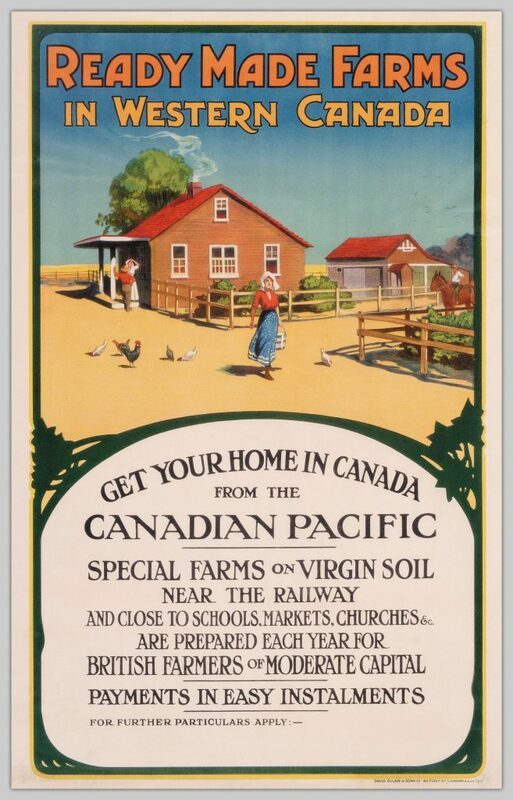 That’s right, business lessons from the Canadian Pacific Railway (CPR) collection, which is part of our Chung Collection! The Canadian Pacific Railway was built to fulfill a pledge that John A. Macdonald made to British Columbia. 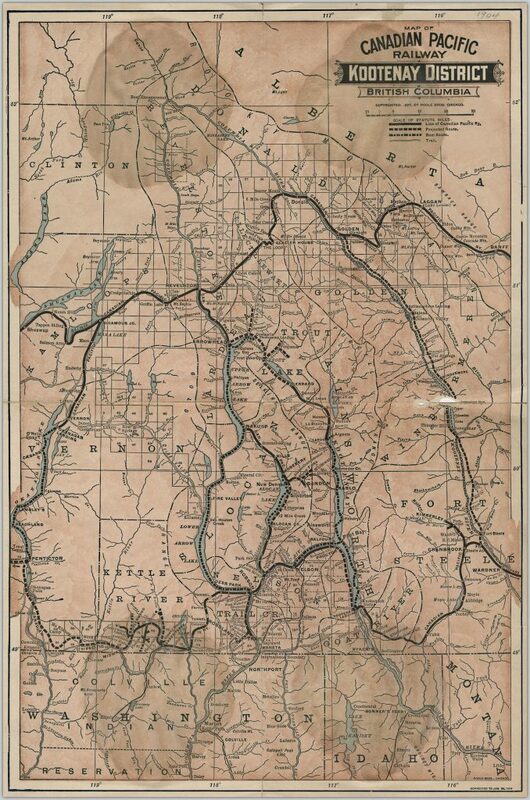 To be part of the Canada, BC demanded that a transcontinental railway should be built to connect the west and east. British Columbia gave the Canadian government ten years to build the railway. Despite the complexity of building railways across Canada, the Canadian Pacific Railway completed the project before the estimated time. Although the railway project was successfully completed, and there was now a connection between the Canadians coasts, there were not enough people actually using it, which affected business profitability. As a result, the CPR sold their lands near the railway to settlers and immigrants in order for them to occupy the Prairies. The settlers did not know how to farm in the Prairie environment, so the CPR created ready-made farms where buyers could purchase the land and immediately start seeding the soil. The CPR also created initiatives to educate farmers on how to cultivate prairie soil. In the early 1900s, the CPR spent more money than the Canadian government in promoting immigration and settlement. The CPR management noticed that passengers needed a place to stop and rest during long trips across the country, so they decided to build their own hotels. 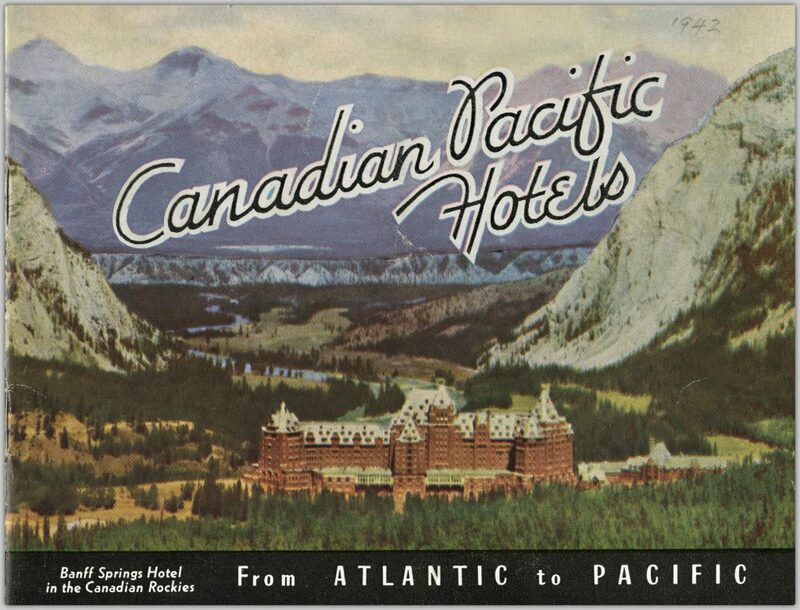 Seeing the potential of the tourism trade, the CPR began to explore possible attractions for their hotels. 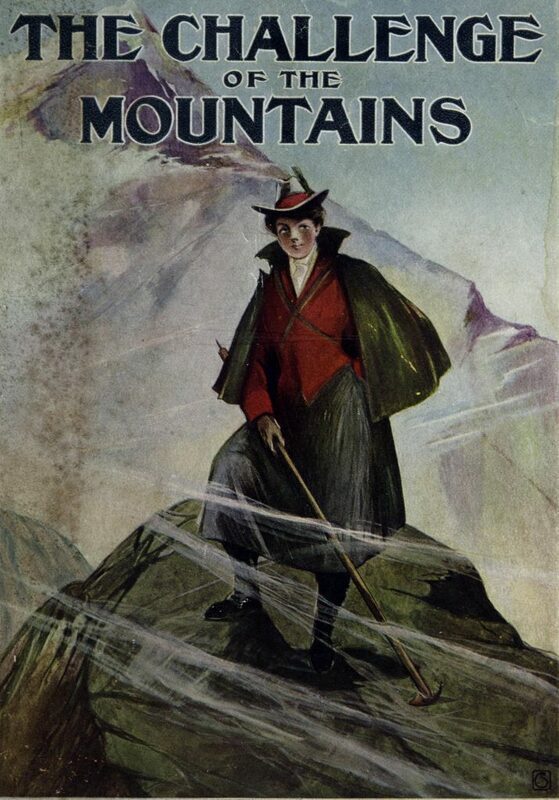 This led to the discovery of natural hot springs in Alberta and the founding of the Banff Hot Springs Reserve (later Banff National Park), Canada’s first National Park. The park became a popular destination for vacations. The CPR business was tested on several occasions. A notable example was when a climber unfortunately died while climbing Mount Lefroy in Banff National Park. In order to avoid any future tragedies and possible negative word of mouth, the CPR began to hire Swiss hiking guides to lead tourists through the mountains and ensure their safety. In the 55 years that the program was in place, no one died. You always hear that you should never put all your eggs in one basket. The CPR definitely took that advice to heart. 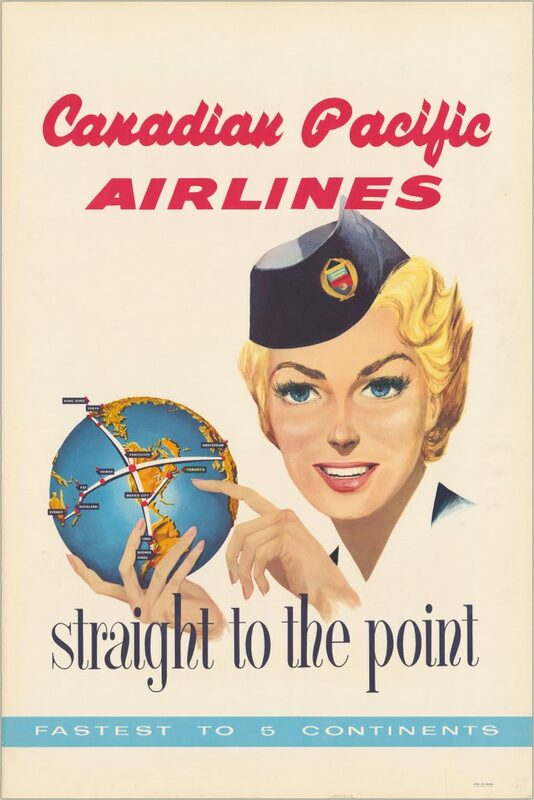 Around 1971, their main businesses were: railway, ships, hotels, mines, minerals and manufacturing, oil and gas exploration, airlines, telecommunications, trucking, and real estate. There was a time when telegrams were very popular at Christmas time. People loved to see the CPR telegram boy come to their door in his gray uniform to give them a colored telegram designed by the CPR’s art department, along with messages from their relatives. But the CPR’s real innovation was the Santagram, which were telegrams sent by Santa Claus himself to children. The CPR contributed to the education of children in Northern Ontario, by bringing a school car to remote areas of the province. The car came equipped with a chalkboard, desks, a map, a library, and an area for the teacher to live. The car would typically stay in the same place for five days, then move around to other regions, leaving enough homework for the children to do until its return. In this series, UBC faculty write about one great idea that significantly influenced their specific discipline and in turn, transformed how they approach their work. Blood, yellow bile, black bile and phlegm. These four humors were once thought to shape a person’s mental and physical health, behavior and even personality. Initially borrowed from Ancient Greek thinkers like Aristotle, Hippocrates, and Galen, the theory of the four humors was so ingrained into the common wisdom of Shakespeare’s time that references to melancholic displays and choleric outbursts fill his most popular plays. The interplay between medical theory and theatrical language forms the basis of a fascinating exhibition, created by the US National Library of Medicine, National Institutes of Health and the Folger Shakespeare Library, now coming soon to UBC Library. The exhibition, “And there’s the humor of it”: Shakespeare and the four humors, will run from June 4 to July 14, 2018 and feature additional materials from UBC Library’s collections to explore related topics, such as Shakespearean theatre in British Columbia and Shakespeare in children’s literature. Collection highlights will include: the second edition folio of Shakespeare’s complete works (1632), first editions of Spenser’s The Faerie Queene (1590), John Donne’s Poems (1633), and George Herbert’s The Temple (1633), along with medical manuals such as 16th century midwifery book The byrth of mankynde (1540) by Eucharius Rösslin and milestone physiology book, Exercitatio anatomica de motu cordis et sanguinis in animalibus (1628) by William Harvey. On display at Rare Books and Special Collections on Level 1 of the Irving K. Barber Learning Centre and in the Memorial Room at Woodward Library, the exhibition is open to the general public as well as UBC students, staff and faculty across campus. Many thanks to co-curators of the UBC Library collections materials Patricia Badir, Professor of English, Anthony Dawson, Professor Emeritus of English, and Department of English students Karol Pasciano (MA), Aiden Tait (BA Hons. ), and Ana Maria Fernandez Grandizo (BA Hons.). Thank you also to John Christopoulos, Assistant Professor of History, for lending his subject matter expertise. UBC Library co-curators for the exhibition included Charlotte Beck, Chelsea Shriver, and Helen Brown. Take this opportunity to view rare materials that chronicle both medical milestones and Shakespeare’s enduring relevance throughout the ages. John Bronsteen, Christopher Buccafusco & Jonathan S. Masur, Happiness and the Law (Chicago: The University of Chicago Press, 2015). Jocelyn Stacey, The Constitution of the Environmental Emergency (Oxford: Hart Publishing, 2018). Brock Jones, Emma Rhodes & Mary Birdsell, Prosecuting and Defending Fraud Cases: A Practitioner’s Handbook (Toronto: Emond Montgomery Publications Limited, 2016). Thank you for participating the Asian–language book clubs 2018! 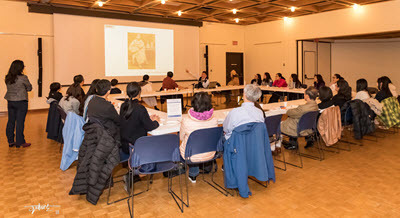 This is the second Asian-language book club program after its launch in the fall of 2016. With the support from the Faculty of Arts, we were able to extend the initiative from two to four languages – Korean, Punjabi, Japanese, and Chinese. All four book clubs took place between January and April. Each had two sessions, a “meet and greet” session followed by a book discussion about a month later. Three out of the four books selected for the events are novels written by award-winning writers in Asia, including the Korean novel Chinatown (중국인 거리) by Oh Jung-hee (오 정희), the Japanese work Convenience Store People (コンビニ人間 ) by Murata Sayaka (村田沙耶香), and the Punjabi novel News from a Village (ਖਬਰ ਇੱਕ ਪਿੰਡ ਦੀ: ਨਾਵਲ) by Pargat Singh Satoj (ਪਰਗਟ ਸਿੰਘ ਸਤੌਜ). The Chinese-language biography A Way of Finding What’s True (寻找苏慧廉) was written by local writer – by Shen Jia (沈迦). 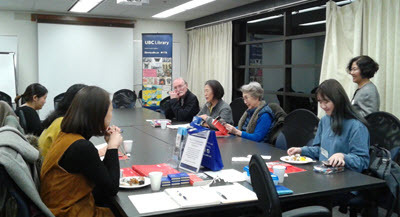 Participants in the Chinese and Korean book clubs had the exciting opportunity to meet and engage with the book author and translators who graciously agreed to facilitate the sessions. 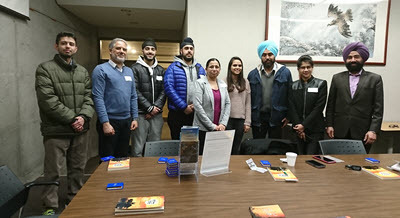 The Japanese and Punjabi book club members were joined by UBC graduate students Cyrus and Taranjit to explore their books through structured activities and animated discussions. 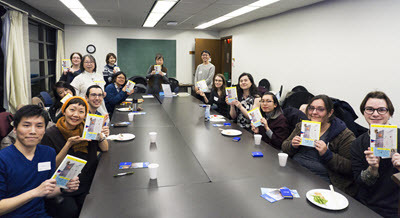 The book clubs aimed to provide an opportunity for current students, faculty, alumni, and other interested community members with advanced fluency in Asian-language to form ties with others in their respective literary communities. All four book clubs were well-attended, with 64 participants in total and attracted a wide-range of participants. 39% of attendees were students (12.5% graduate and 26.5% undergraduate), 12.5% faculty, 8% staff, 14% alumni, 11% residents from the UBC neighbourhood, and 15.5% community members unaffiliated with UBC. Some participants were non-native speakers. The diverse backgrounds of the participants contributed to the interesting discussions, which were accompanied by Asian-style refreshments. In our post-event surveys, a number of participants expressed their desire to see an on-going Asian-language book club program. The Asian Library will continue to explore the possibility. 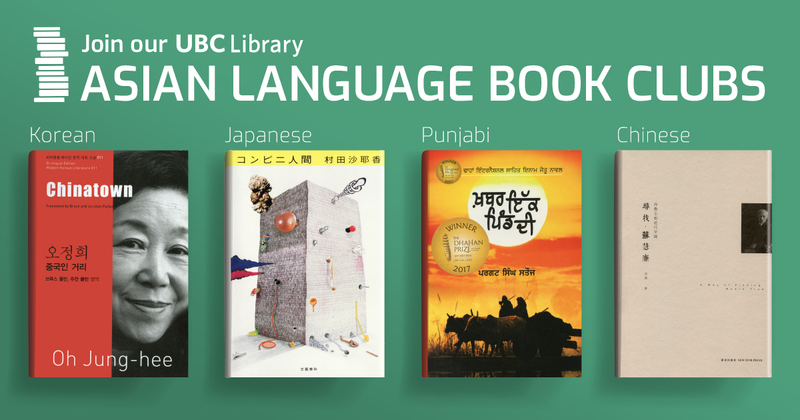 If you are interested in future book club events, or if you have any suggestions on a book club topic, please email to asian.library@ubc.ca.